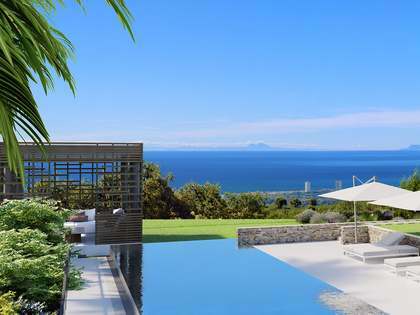 In an unbeatable location in the Los Monteros Playa estate, on one of the best beaches in Marbella and next to the famous La Cabane Beach Club, this spacious modern villa has come on to the market for sale. 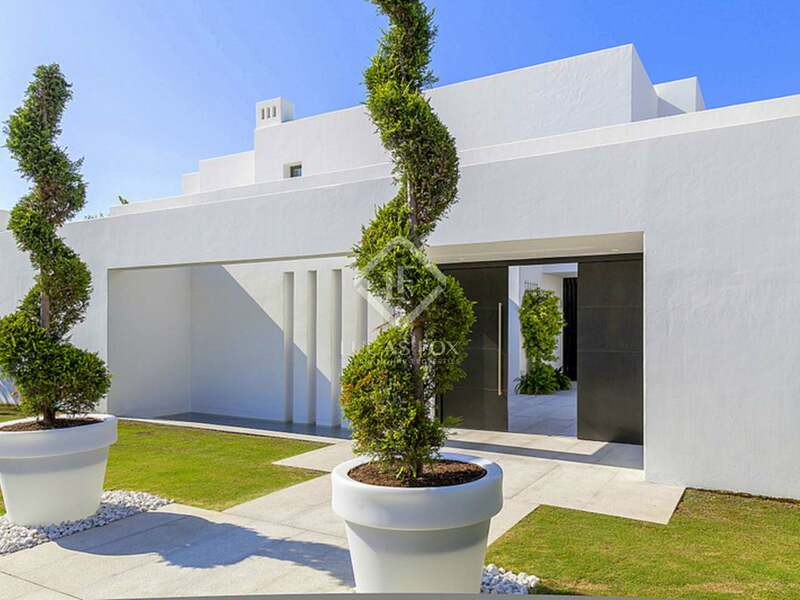 The striking contemporary design of the property and high standard of materials used, make this a unique luxury property. 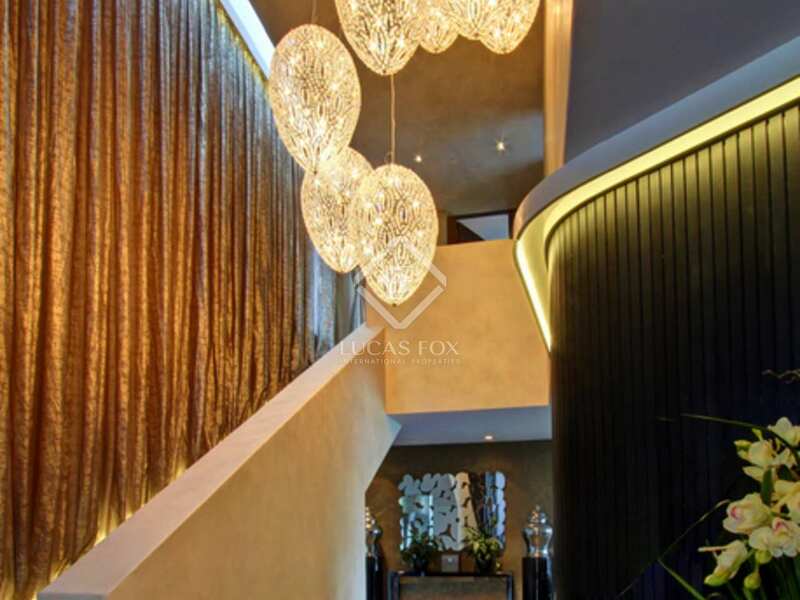 On passing through the gates, we find a Zen garden with attractive water features that lead us to the main entrance hall, followed by the very large and open plan living and dining area with a fireplace and access to the covered terrace and outdoor fireplace. Also on this floor we find a fully fitted kitchen, utility room and service quarters. Fabulous sea and garden views can be enjoyed from the living area. Apart from the service bedroom, there are 3 en-suite bedrooms, each with a private patio, and a further bedroom suite and the master bedroom on the upper floor, also with a private terrace. 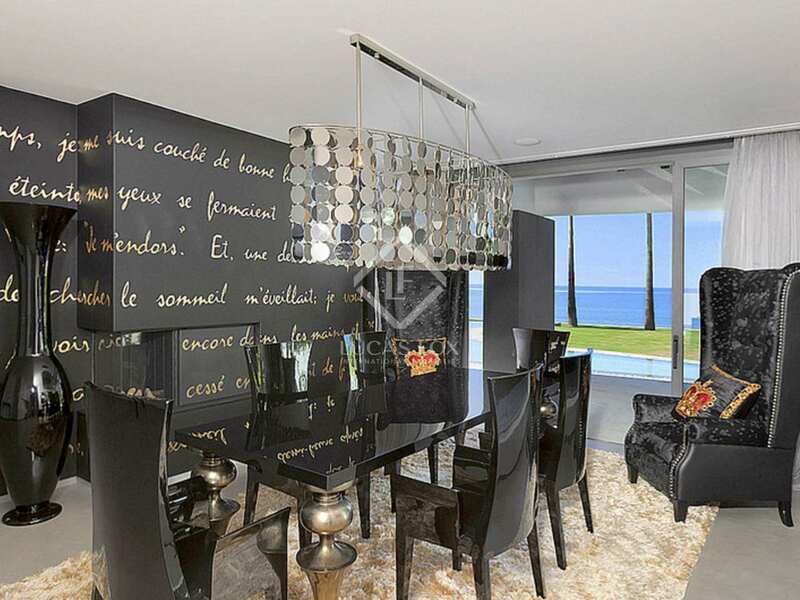 Air conditioning, under floor heating, motorized blinds, alarm and automated home systems are just some of the luxuries featured in this exclusive beachfront Marbella home.